With the recent success of his Metro Manila Film Festival entry Siargao, award-winning film director Paul Soriano is set to work on another project, this time with his wife Toni Gonzaga and her sister Alex. 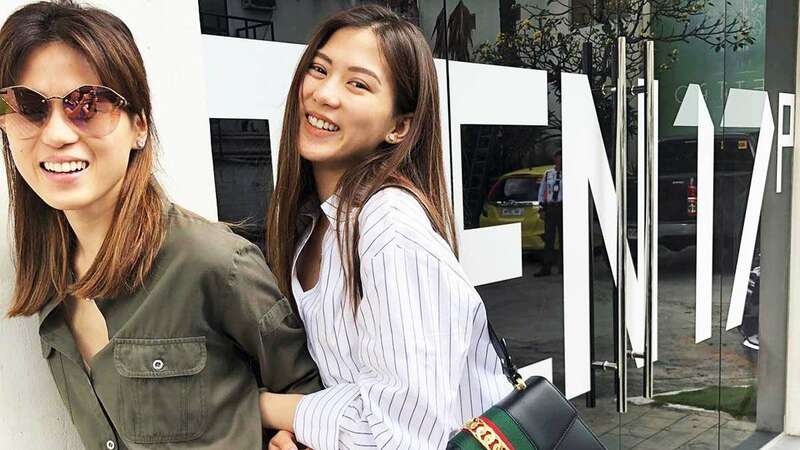 Paul's production company, Ten17P, shared an image of the two sisters following a meeting about their upcoming project. The caption reads, "Coming Soon 2018—Thank you @celestinegonzaga and @cathygonzaga for today's concept brainstorm. Looking forward to our sisters project this 2018. #sistersmovie #ten17pfilms"
Alex also shared a cute pic with her sister outside the office of Ten17P. Writing on the caption, she said, "The dream project." Paul first talked about the project earlier this month in an interview with ABS-CBN. Paul shared, "Not to preempt anything but one of the plans for 2018 is for TEN17P and myself to write a movie for Toni and Alex. Sisters concept, pang-pamilya, of course within the brand of Toni and Alex Gonzaga." He added that he will not be taking over as director of the movie. Instead, he will be writing and producing the film. He explained, "I'm going to be producing a film for them. But in terms of who's directing, we don't know yet. I think being husband and wife now, parang as much as possible let's lessen the conflicts. Parang I feel if I'm the director baka 'yung personal ay pupunta sa set, hindi ba?"